Discussion in 'Nintendo' started by Wickett, Apr 24, 2014. The bundle will be available on May 30th and contains everything you'd expect, including a black Wii U GamePad and Sensor Bar. 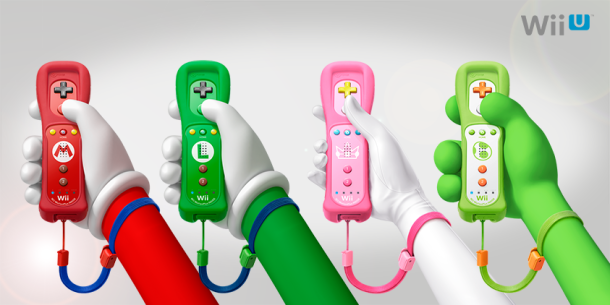 Along with the hardware bundle, Nintendo has also confirmed two new Wii Remote Plus controllers will be available. One is Princess Peach themed, sporting the hot pink with white highlights, blue buttons and a yellow d-pad. The other is for Yoshi, which is a white remote with light green buttons and highlights.